If you want a better view of whatever you have going on your computer, a cheap HDMI monitor can’t be beat. The monitor will not only provide you with one of the best screens the market has to offer, but at the right price, you don’t have to hurt in the wallet for it either. The following is what to look for in a cheap HDMI monitor. Although we’ll recommend one cheap HDMI monitor for everyone, the truth is that there are a number to choose from. Finding the best one will depend largely on what you plan on using it for. Do you just use your computer mainly for email or to read documents? If so, you can purchase an extremely cheap HDMI monitor. However, if you’re into gaming or watching movies, the cheap HDMI monitor will cost a bit more, while still being affordable. A cheap HDMI monitor of sound quality should probably come with some type of warranty. If nothing else, it vouches for the company that produced it and how much they believe in their product. 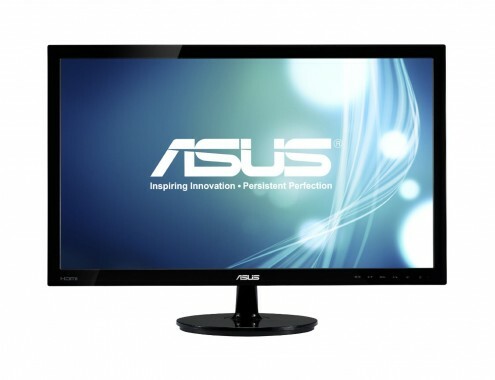 However, if you get your monitor for the right price, whether or not it has a warranty may not matter much. You’ll need to make that decision yourself. It comes down to a simple tradeoff. This is another element that comes down to preference. You may not need a large screen from a cheap HDMI monitor. On the other hand, that may be why you’re looking for a cheap option—so you can get as much screen size as possible. While it comes down to your own opinion how much screen you need, most would agree that between 17 and 20 inches is the bottom rung. If you go lower than this, you can probably pick any monitor, because the HDMI effects will barely be noticeable. With a 17 inch screen, though, you can usually rely on a 4:3 aspect ratio. However, if you like widescreen, this simply won’t do. Usually a 19 inch screen will come with a 16:10 ratio which will be far more to your liking. Unfortunately, not many will break through 1,366×768 pixels. When you get to 20 inch televisions, you’ll have an easier time finding a ratio of 16:9, plus a pixel resolution of 1,600×900. That’s where you’ll get some enjoyable watching and at the right price too. Obviously, you can go much higher than this in terms of the screen size of a cheap HDMI monitor. But if you start getting below these aspects, you’re probably wasting your money on the HDMI component. Although it will differ for everyone, we recommend the ASUS VS228H-P 22-Inch Full-HD 5ms LED-Lit LCD Monitor. In terms of price, it comes in just below $130, which is reasonable for most people. You also get plenty of screen size for that price. It usually comes with a one year warranty too, where the company will replace your television if anything happens to it (so long as it’s covered). This cheap HDMI monitor also hits all of the above bases we covered as well. If you want a cheap HDMI monitor, you have plenty to choose from thanks to this amazing technology. Consider our above recommendation or choose one that meets your needs. Just be sure to consider our advice.